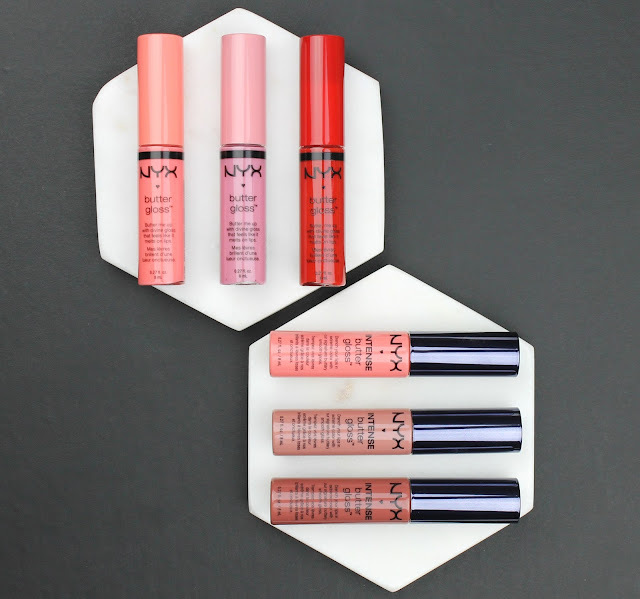 I was lucky enough to receive these gorgeous NYX Butter Glosses and Intense Butter Glosses in my goody bag at the recent NYX launch event. I had heard a lot of good things about the Butter Glosses but somehow never got around to trying them. What a mistake that was because I could have been using them all this time! The event I went to was all about promoting the launch of the NYX range in Priceline here in Australia. For the longest time we have struggled with a tiny range and understocked stands in Target but no more! 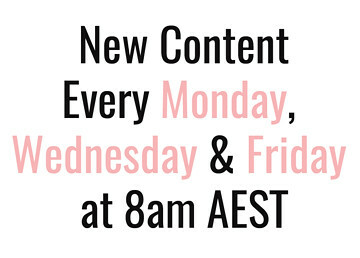 Not only have we been assured that there will be better stock control in Priceline, but all the amazing cult favourite products we have seen in the States will finally be available to us here! We still won't have the entire range because that includes thousands of products and is actually only stocked in a few flagship stores in the US, but the Priceline stands will stock 200-300 different products with even more available on the Priceline website. If you are lucky enough to be in Melbourne, you should definitely head to the massive launch event at the Bourke St Mall Priceline on Saturday July 16th, 2016. The line up will start at 6am and the doors will open at 9am. 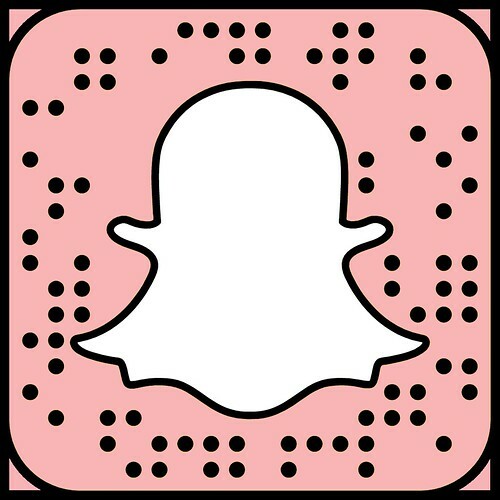 There will also be NYX gift packs valued at $135 each for the first 100 people in line as well as other giveaways, blogger meet and greets, mini makeovers and sweet treats. Also, after the Melbourne launch, NYX will start popping up gradually in Priceline stores all over Australia so the wait is almost over for the rest of us! Now, back to the review! I received two little box sets at the incredible launch event: The Intense Butter Gloss Set and Sweet Temptations Butter Gloss Set. The original Butter Gloss formula is a very smooth, medium pigment gloss that behaves in much the same way as most lip glosses. That said though, they are very comfortable and not at all sticky. I really like the texture and I find them very moisturising. 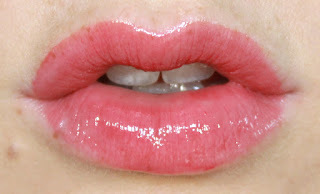 The Intense Butter Glosses on the other hand are much more intensely pigmented and more a glossy liquid lipstick. The Sweet Temptations Butter Gloss Pack came with the shades Apple Strudel, Eclair and Cherry Pie. My favourite is definitely Apple Strudel and I have been wearing it so much! I also really liked Eclair too. The only shade I didn't get on with was Cherry Pie because I found it a little patchy in pigmentation. 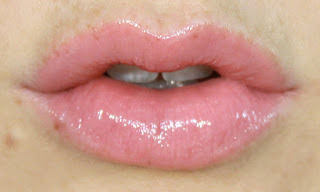 I think it is just too dark and vivid a shade to really work well with this formula of gloss. If you were using it as a topper over red lipstick though, it would look great. This Intense Butter Gloss set came with the shades Sorbet, Tres Leches and Chocolate Crepe. Sorbet can be a little trick to apply and you can see from the lip swatch that the pigment isn't totally even. Tres Leches and Chocolate Crepe are flawless though! These are far more intense in pigmentation like I said before and are much more like a liquid lipstick hybrid. They wont set down like the on trend matte lipstick we are used to right now because they are so glossy but they pack a colour punch. I really like that they are a lipstick and gloss in one to give me colour and glossy volume. Clearly they won't last through a meal or anything because they are such a moisturising formula but they are super easy to touch up and reapply and I'm always more of a fan of moisturising lipstick for everyday. 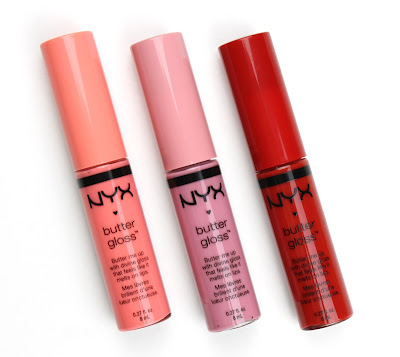 Long story short, I really love these Butter Glosses and I look forward to picking up more shades when NYX pops up in my local Priceline soon. 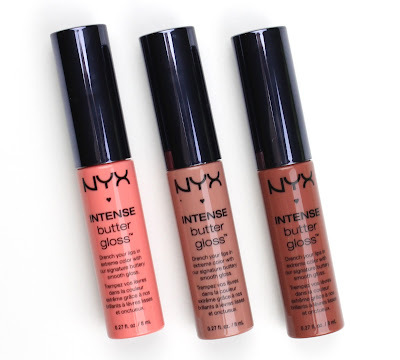 What are your other NYX recommendations because I plan on having a bit of a spending spree?